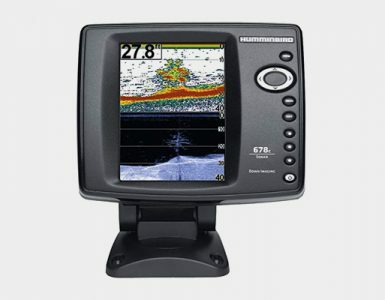 The Humminbird Ice 45 model uses a 3-color fiber optic flasher that comes with a center dial LCD display and is designed primarily to achieve peak performance in temperatures that are as cold as -20 degrees. At the same time, it is equipped with an LCD screen that has digital depth while allowing the flasher to become automatically adjusted to the depth scale, thus eliminating the estimation and guesswork of the depth scale overlays. You can easily depend on these ice flashers in order to search for ideal fishing spots that will help you stock your cooler. The manufacturer’s long-awaited entrance into the industry of ice fishing has certainly grabbed the attention of those who fish on hard water because of its new line of reliable ice flashers. The Ice 45, in particular, is equipped with the company’s first backlit LCD inside the dial of the flasher, offering real-time sonar response along with the convenience of easy-to-read automatic depth scale and digital depth. 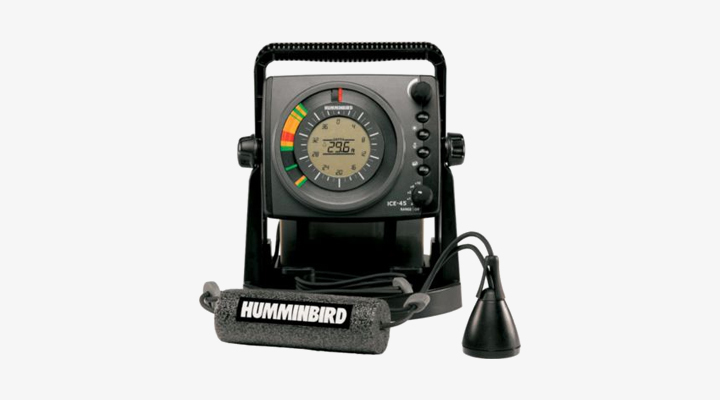 This Humminbird flasher is a good investment, especially if you are a fishing fanatic. At times, many people view flashers as an amazing piece of equipment, even mysterious at times. Some people only see color wheels which seems impossible to interpret. Others, on the other hand, think that flashers can attract fish, as well as other purposes. However, a flasher, most particularly the Humminbird Ice 45, offers more than this. It serves as a portable sonar unit and allows the angler to see the bottom part, the jig, as well as any type of fish which enters the sonar beam. The denser or harder the object is, the wider signal it can display. At the same time, the color can also turn from green to yellow, then to red, in order. The bottom can start as narrow green, turning to a thick red line on the display. You may see a bait fish as a thin green line, as well as a bigger fish with a thick red line. There are a lot of options that are also available when it comes to equipment used for fishing. For instance, the Lowrance X4 Pro can cover water that allows for a successful fishing trip. This is best for beginners. 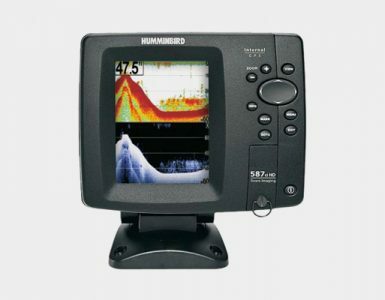 Another option is the sibling of the Humminbird Ice 45 under the same manufacturer, the Humminbird 998C, which is generally included among the more advanced fish finders on the market. It is equipped with amazing features, which is great for both for professionals and amateurs. However, considering all the features of this equipment, it can still be said that the Humminbird Ice 45 is the best option possible. The best benefit of using the Humminbird Ice 45 flasher is its capability of seeing right below the surface. As an angler, you have the opportunity to see your jig, watch the way it moves, and see how high you are while lifting your jig, as well as the position of the fish. When a fish finally approaches the jig, you can typically see either a red or yellow line.. As it gets even closer, the line with becoming thicker as it converges. On the other hand, when the fish swims away, you can simply vary your jigging motion while watching the fish either return or leave the area completely. What the flasher allows you to do is experiment on various jigging motions in order to see what the fish are attracted to. It also informs you if there are fish near the area. Without the use of a flasher, you cannot see anything, and may not even know if there are fish nearby. The best part is that the information provided by the Humminbird Ice 45 is passed on to you in real time. If you operate this model in auto mode, the depth of the water you are scanning does not really. If you are seeing a lot of lines in between the bottom of the area and the surface, then it means that there is just too much of an interference and the gain and noise reduction will need adjustment. Gain refers to how much return signal is amplified on the sonar. This means that if you can see a lot of clutter on the dial, all you need to do is to decrease the gain. On the other hand, if you need more detail, you can increase the gain. On the other hand, noise reduction removes the interference coming from other electronics, just like other flashers, which are operating under a similar frequency like your flasher. All in all, the Humminbird Ice 45 is equipped with the necessary features that make it a reliable flasher. It comes with a dual beam transducer which allows you to see a wider range under the equipment. This can make the entire fishing experience a rewarding yet exciting one at the same time. 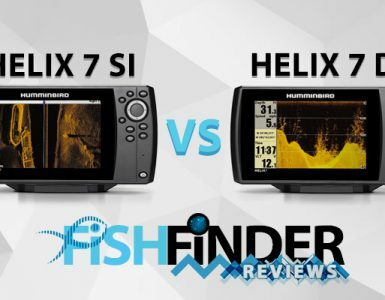 If you want more information about fish finders. then you are reading the fish finder reviews page.